This article ran in DOE Pulse April 4. 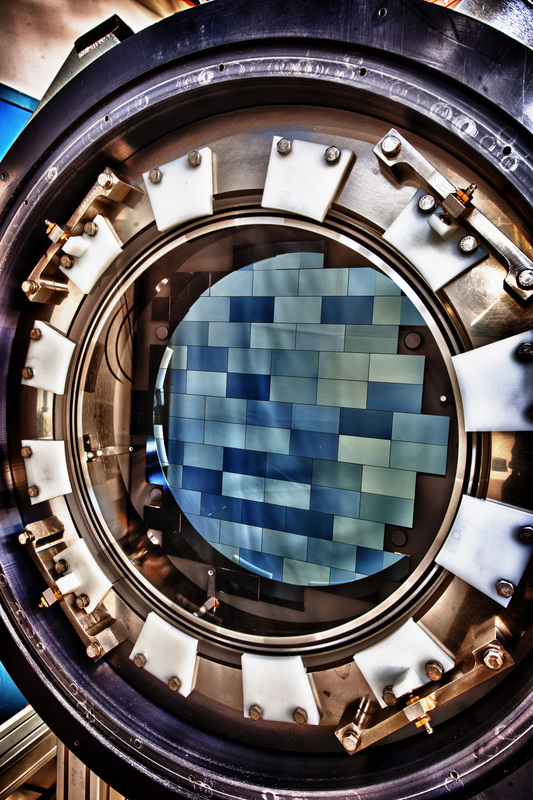 Building and installing one of the world’s largest digital cameras to solve the mystery of dark energy requires the collaboration of scientists and industry from across the globe. The Dark Energy Survey’s combination of survey area and depth will far surpass the scope of previous projects and provide researchers for the first time with four search techniques in one powerful instrument. More than 120 scientists are collaborating to determine the true nature of dark energy, the mysterious force that accelerates the expansion of the universe. Taking images of galaxies from the time the universe was only a few billion years old, the DES will trace the history of the expanding universe roughly three-quarters of the way back to the time of the Big Bang. But first researchers needed to build the 570-megapixel camera at DOE’s Fermi National Accelerator Laboratory and make sure it works. Nearly all of the camera’s parts made their way to Fermilab for assembly and testing during the last 12 months. The components were assembled and operated on a full-size replica of the front end of the 4-meter Blanco telescope in Chile, built by Fermilab and Argonne National Laboratory. Testing finished successfully in February. During the next few months, physicists will be putting the finishing touches on pieces of the camera and shipping them to the Cerro Tololo Inter-American Observatory in Chile where they will receive another round of tests before installation. The high-tech supply chain tapped the expertise at four DOE Office of Science national laboratories and more than two dozen institutions and universities in the United States and abroad. More than 120 companies in the United States contributed know-how and parts. Fermilab took the lead in the assembly and testing of the camera and building a cryogenics system several times larger than those used in previous ground-based sky surveys, while Berkeley and Argonne national laboratories played key roles in the camera development. Berkeley Lab developed the Charge Coupled Devices used in the camera and did some of the processing of the silicon for the CCDs before sending the pieces to Fermilab for packaging of CCD chips. The unique design of these CCDs will give the camera unprecedented sensitivity for red and near-infrared wavelengths, allowing it to record more light for a given exposure time. The camera contains 62 CCDs for observing with 8 million pixels each, plus 12 CCDs with 4 million pixels each for guiding and focusing. 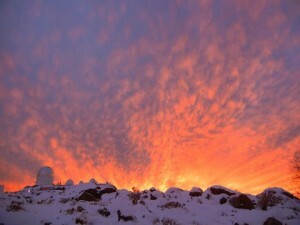 Argonne National Laboratory helped construct the calibration camera to conduct a mini-sky survey last year from a telescope adjacent to the Blanco telescope. This scaled-down version of the dark energy camera allowed for testing of the experiment hardware, software and observing strategies as well as created a baseline of celestial objects for Dark Energy Survey. Argonne also constructed several smaller components for the full-size camera and some large mechanical systems, including the heavy apparatus that installs and removes a 1-ton mirror from the front of the camera. 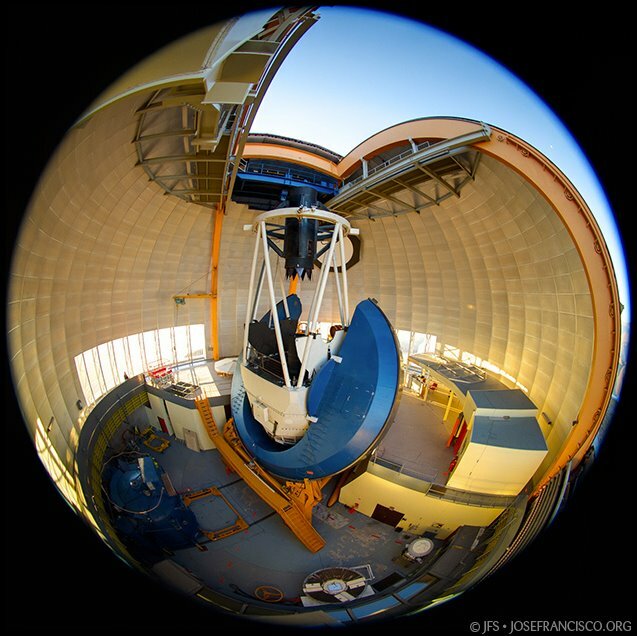 SLAC National Accelerator Laboratory took the lead in constructing a separate, small telescope with an infrared camera that will sit on a mountain near the Blanco telescope in a separate enclosure. This telescope will monitor cloud coverage so that the Dark Energy Camera can adapt its survey modes to various atmospheric conditions. The DES collaboration expects to take its first astronomical images with the installed Dark Energy Camera before the end of 2011. 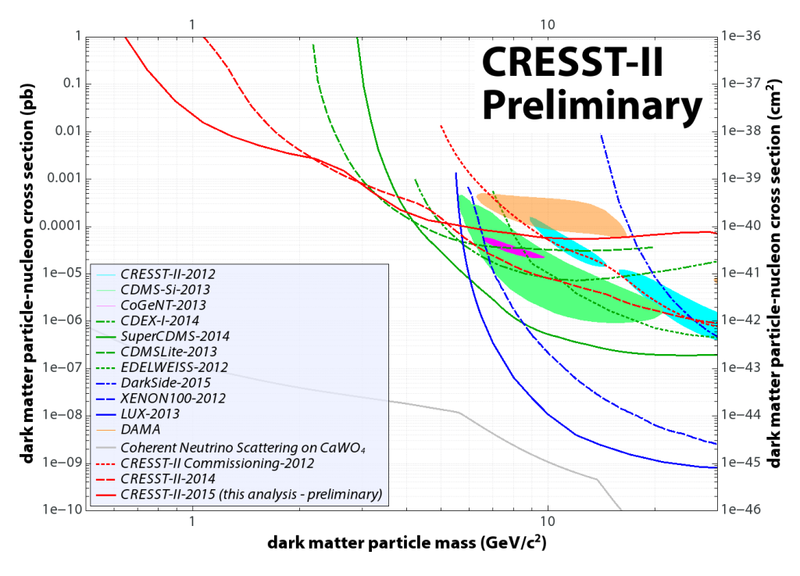 Lots of interesting particle physics news recently on the Cosmic Frontier front. Science News reports that the National Research Council’s March 7 report for science in the coming decade recommends completion of the Large Synoptic Space Telescope. 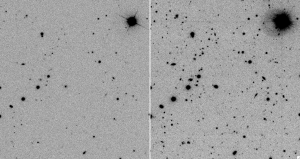 …which will not only probe the nature of dark matter and dark energy but aid in tracking near-Earth asteroids. LSST is a huge public and private partnership, which includes many of the national labs, among them Fermilab, which hopes to build on its computing experience with the Sloan Digital Sky Survey to help manage the unprecedented flow of data expected from LSST. The February issue of symmetry magazine outlines the partnership needs the experiment will require. …the LSST camera will produce 3.2-billion-pixel images and generate, on an average viewing night, about 15 terabytes of raw data, or 25,000 CDs worth. To display one of the LSST full-sky images on a television would require not just a high-definition screen, but 1500 of them. While LSST is not expected to take data for quite sometime, its predecessor the Dark Energy Survey should start its first sky survey in October. The blog dark matter, dark energy, dark gravity explains how DES will be the first experiment to use four different methods at once to search for dark energy. Medill news services uses a great video to show physicists at Fermilab wrapping up tests on camera components before shipping the final parts to Chile for assembly on the 4-meter Blanco telescope. 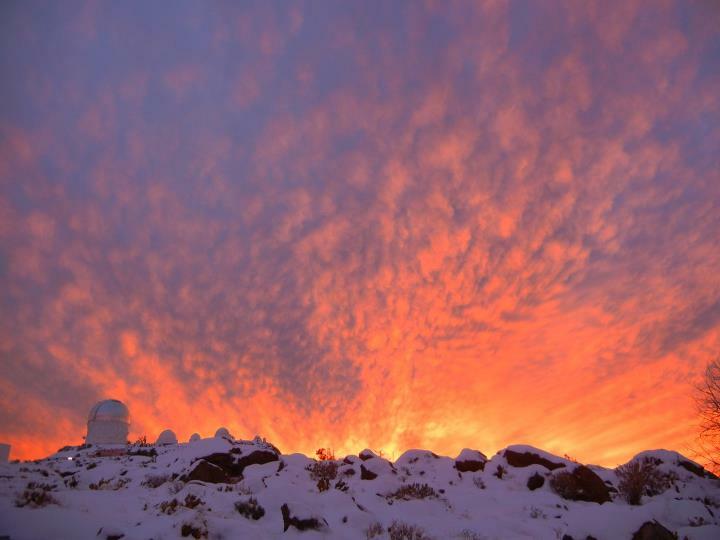 Sadly, the New York Times reports that the driving force behind making the telescope a bastion of U.S. science in Chile, Victor Blanco, passed away. Unlike DES and LSST, the holometer experiment aims not to record the sky as we see it but as Fermilab theorist Craig Hogan thinks it really is: a giant hologram. The Little India newspaper explains Hogan’s theory and how it relates to black hole science. Scientists have known for long time that information plays a key role in the creation of a system. Our computers and robots are just metals and wires if no information is exchanged in the form of bits. Our brain is inanimate if no information is carried by the neurons. Our genes are futile if no information is available from DNA that instructs how to function. In everything we know information is the key. Similarly the entire information about our universe must be encoded elsewhere. Like a hologram on our credit cards, which contains the information in a thin film, and can generate 3D objects when viewed in proper light, the reality we tempt to believe is actually just one way of viewing information printed on a distant cosmic film. What we see and experience as reality are the shadows of the truth. As the time for our camera’s first light approaches, workload and excitement increase exponentially among the Dark Energy Survey collaborators and it is about time we start sharing the latter. Beginning today, you will find here at Quantum Diaries an insider’s account of our fast progress, frequently updated as we countdown to first light. So, here we go. If you haven’t heard of us yet, DES is an experiment designed to investigate dark energy, one of the most trending topics of the last 30 years, featured among the top priorities in the world-wide scientific agenda despite a recent funding blow up. DES will image an area of 5,000-square degrees (nearly 1/8 of the sky) using five optical-bands, obtaining detailed measurements of about 300 million galaxies. With this data we can shed light on the mystery of cosmic acceleration by analyzing four complementary probes: supernovae, baryonic acoustic oscillations, galaxy clusters and weak lensing. 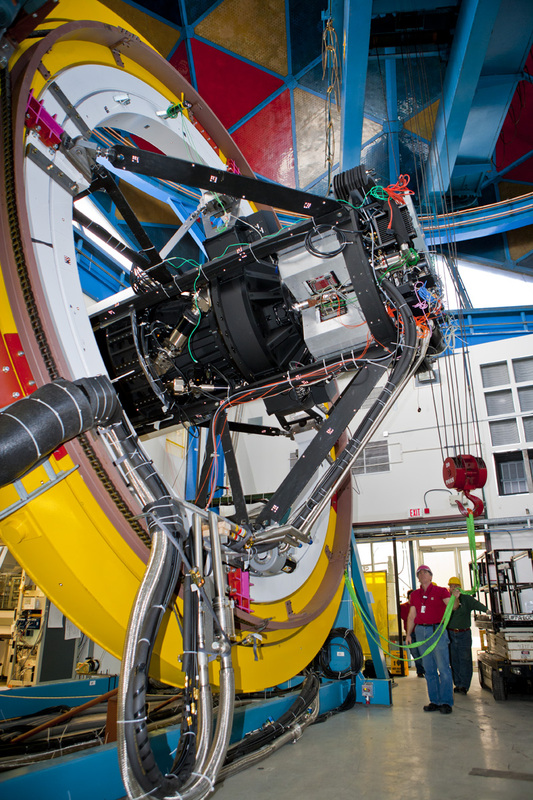 DES will use its own powerful new instrument, the Dark Energy Camera, or DECam, which is under construction at Fermilab. Building an entirely new system to answer a specific question is a growing trend in astrophysics, probably a consequence of developing close ties with the field of high energy physics. This 570-megapixel, giant camera is being tested on a telescope simulator (the yellow and red rings that you see in the video) until the end of this month. As a Fermilab postdoc, I am heavily involved in these tests, together with a team that keeps up the fast pace even during the blizzard last week. We are now getting ready for a simulated observing run, a comprehensive integration test of the full system. We will use a star projector to simulate the sky and the goal is to take one night’s worth of data. The atmosphere here at the lab is of stress and excitement as this is our last test of the full system before we bring DECam down from the telescope simulator. The results of this test will be very important to guiding us through the next steps. So here is where we stand nine months before first light. Stay tuned for more updates here or follow us on Facebook. Leave a message in the comments if you want to know more or would like to visit us while the camera is still up on the simulator.